Founded in 2013, Amutat Kaima works to improve the lives of at-risk youth (ages 15 to 18) who have dropped out of high school or on the cusp of doing so, through a multifaceted approach including organic farming, leadership development, vocational education, and community activities. With four independent farms across Israel’s geographic periphery, at-risk youth earn a salary while simultaneously learning the fundamentals of Community Supported Agriculture (CSA), organic farming, environmental stewardship, social entrepreneurship, and teamwork. Since its founding, Amutat Kaima has served 400 individuals, encouraging them to make good personal choices, secure work experience, and contribute to the community at large. Employment as Education provides hands-on agricultural training and comprehensive workforce development to at-risk youth, empowering participants to reach their full potential and become productive members of Israeli society. Founded in 2000, Appleseeds Academy works to close the digital divide (the gap between communities who have continuous, reliable access to computers and internet and those who do not) through the development and implementation of technological programs, vocational training and job placement. It reaches 100,000 individuals per year in Israel’s poor, underserved neighborhoods in remote locations in Israel’s social and geographic periphery who lack the skills necessary to fully integrate into the economic infrastructure of the country. Code Blue increases the employability of young adults living in peripheral cities through vocational training, hands-on experience, and employment placement. Founded in 2006, Artists & Musicians for Israel-Neshima (AMI) works to strengthen the pluralistic Jewish identity and connection to Jewish traditions of Israeli teens using an experiential model that focuses on music and art. To achieve its mission, AMI holds in-class school workshops, teacher trainings, pre-army leadership mechinot programs and programs for at-risk youth and overseas students. Since its inception, AMI’s programs have impacted close to 10,000 Israeli youth. Neshima Teacher Training trains 1,200 teachers at 100 schools to integrate the Neshima music and art curriculum into their classrooms, engaging 37,000 Israeli teens in exploring Jewish concepts and Jewish identity. Founded in 1991, the Association for Children at Risk (the Association) was created due to the lack of a proper educational-therapeutic treatment program for young children diagnosed with Autism Spectrum Disorder (ASD). The Association works in 137 educational settings (e.g., day care centers, kindergartens), treating close to 1,000 children with ASD. The Association’s Cohen-Harris Resilience Center provides treatment, counsel, development, training and research on preparedness, prevention, intervention and rehabilitation as well as in development of civilian resilience during traumas, crises and mass disasters on the local, national and international levels. The Autism and Resiliency Program will provide a trauma prevention and intervention program geared for the Autism community that will provide parents and children with tools and strategies to navigate through challenging times. Founded in 1990, Atid Bamidbar connects Jews living in the Negev with each other and with their Jewish heritage using a creative, egalitarian, and culturally-sensitive approach. It pursues its mission by running 20 annual programs that include cultural & community events, leadership workshops and Jewish identity programming that attract over 12,000 participants annually. Jewish Empowerment for Russian-Speaking Israelis in the Negev provides 1,100 Russian-speaking Israelis with knowledge and understanding of Jewish culture; strengthened Jewish identity; comfort and connection with native Israelis; and the tools to incorporate Jewish learning and customs into their daily lives. Founded in 2002, Ayalim Association works to promote the values of Zionism, Jewish identity, and young entrepreneurship in the Negev and Galilee regions. It runs 11 student and entrepreneur villages in these regions that house 600 students and provides incentives such as scholarships and subsidized housing to encourage students to settle in these areas. In return for discounted housing, students volunteer 500 hours per year, working with underprivileged 20,000 children, providing academic support/activities, renovating schools, and building gardens. Workshops on Jewish Identity and Entrepreneurship provides Ayalim participants with workshops that assist participants in embracing their Jewish identity, gaining employment, and ultimately living permanently in the Negev region. Workshop topics include business plan creation, intellectual property and legal issues, management and team building as well as Tanach, Talmud, Jewish philosophy, Hebrew and living a Jewish life. Teach business entrepreneurship and Beit Midrash workshops to help Jewish students embrace their Jewish identity, launch a business venture and gain employment in the Negev region. Elul seeks to introduce Jewish Israelis both to Jewish texts and to other Jews who may not share their cultural and religious beliefs. It seeks to fill the needs for: people to rediscover their Jewish identity; Jewish identity to become an integral part of personal and professional identities as well as the national agenda; communities to engage in greater community activism; and Jewish identity programs to become more common in cities on the social and geographic peripheries. The Learning Communities – Building Jewish Identities Through Text program engages more than 2,000 Israeli Jews of diverse backgrounds from 40 communities through an exploration of modern and traditional Jewish texts; and 9,000 community members through public events related to Jewish identity.  Founded in 1990, Beit Morasha works to provide intellectual leaders and decision makers with the skills to inspire Jewish and Zionist identity, champion an inclusive vision of Judaism, and bolster the strength and solidarity of the Jewish people in Israel and throughout the world. Its educational and academic programs include informal values education in the Israel Defense Forces (IDF), Jewish heritage education models for Israel's Education Ministry, the Israel Center for Conversion Policy, and adult education and leadership training. Beit Morasha is a partner in the development and oversight of all Jewish identity and values education programs in the IDF Education Corps. The Recreation and Education program provides 40 4-day training seminars in partnership with the IDF Education Corps for battalions of approximately 250-400 IDF officers and soldiers to implement activities that strengthen soldiers’ connection with their Jewish identity, heritage and values. On Days 1 and 2, the Beit Morasha facilitator meets with the officers and commanders of the battalion and introduces the commanders to Beit Midrash materials and outdoor education techniques. On Days 3 and 4, the commanders use these materials and techniques with their soldiers. Following each seminar, the senior commanders of the battalions are interviewed and surveyed to evaluate the program’s impact. Train IDF combat officers to engage their soldiers in explorations of Jewish values and identity. Founded in 2004, Beit Tefilah Israeli is an inclusive Jewish-Israeli grassroots community offering meaningful Jewish-cultural ritual, study and community life to the general Israeli public. It works to provide a variety of liberal and egalitarian Jewish-Israeli community gatherings and programming for Shabbat and holiday services, lifecycle events and Jewish-Israeli identity exploration. While its summer Shabbat and holiday public sphere programs are at its core, Beit Tefilah also celebrates weekly Shabbat services throughout the year at its home in central Tel Aviv, engages the community in social action programs, provides workshops for IDF officers, conducts education programming in schools and works to expose other communities to its innovative style of prayer. Open Tent Shabbat and Holidays: Israeli-Judaism in the Public Sphere will serve nearly 100,000 Israelis per year through free, non-synagogue-based, inclusive Shabbat and holiday services in the public sphere. Founded in 1996, BINA Center for Jewish Identity and Hebrew Culture (BINA) was created as a forum for exploring Jewish values and texts in pluralistic settings, for leadership development and societal improvement. It impacts over 25,000 Israelis every year through its Shabbat & holiday events, seminars, classes, and social-educational programs. In 2006, BINA established the Secular Yeshiva in Tel Aviv, followed by a second location in Jerusalem. Today, attended by hundreds of young adults each year, the Secular Yeshiva has emerged as a center for Jewish cultural expression in both cities. Secular Yeshiva – Core Tracks engages 420-525 pre-army, mid-service and post-army track students in the study of Jewish texts, exploration of Jewish culture and involvement in social activism. Established in 1996, BINA: The Jewish Movement for Social Change is a movement at the intersection of Jewish pluralism and social action in Israel. BINA’s mission is to strengthen Israel as a democratic, pluralistic, and just society through Jewish study, social action, and community building. BINA’s flagship program, The Secular Yeshiva serves as a place where young adults study and interpret Jewish texts and culture as a way to promote Jewish pluralism and social justice. BINA’s cultural, social and educational programs reach more than 40,000 Israelis and individuals from all over the world each year. BINA Youth Core provides students of Israel's secular-public high schools with connections to Jewish knowledge and practice. Founded in 1971, the Center for Educational Technology works to empower educational systems around the globe by creating innovative learning environments that balance pedagogical needs with the evolution of new technology. It offers technology platforms and tools to enhance teaching, learning and assessment; develops online and blended learning models; and innovates in the field of STEM education (science, technology, engineering and math). It has most recently launched 929 (the number of chapters in the Tanach, which is the Torah (5 books of Moses), Neviim (Prophets) and Ketuvim (Writings), which uses a variety of technological outlets to share Jewish learning throughout Israel. 929 engages Israeli Jews of all religious identities in studying the 929 chapters of the Tanach, as a tool to increase pluralistic and respectful speech amongst all sectors of Israeli society. Founded in 1955 in the underground of the former Soviet Union (FSU), Chamah helps Jews economically through job placement, holiday food distribution and spreading Jewish identity. Today, Chamah runs humanitarian and educational programs in Russia, the United States and Israel. Since 1971, Chamah’s work in Israel has included assisting immigrants to find jobs, placing immigrant children in suitable educational institutions, establishing Judaic libraries with literature in Russian, and publishing Judaic materials in Russian. In 1989, Chamah established a day care center that serves over 100 children. The center has been visited by many government representatives and serves as a model for other centers across the country. Holiday and Weekend Retreats convenes Shabbat and holiday retreats for immigrants from the Former Soviet Union, with the goal of enhancing participants’ Jewish identity and awareness.